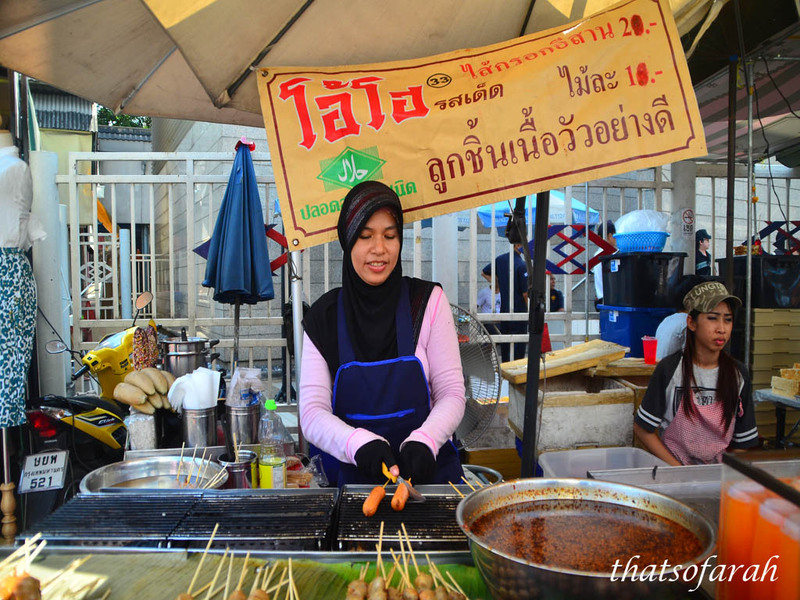 On my recent trip to Bangkok, we managed to go to Chatuchak Weekend Market (pronounced as Jatujak) which is the world’s largest weekend market. It covers 27 acres land divided into 27 sections selling almost everything you are looking for at bargain price. We left our hotel as early as 8.30am as I had read somewhere Chatuchak Weekend Market would be crowded by afternoon. As we were going to rely on BTS train line for the whole day, we bought BTS One-Day Pass which costs THB140 each. 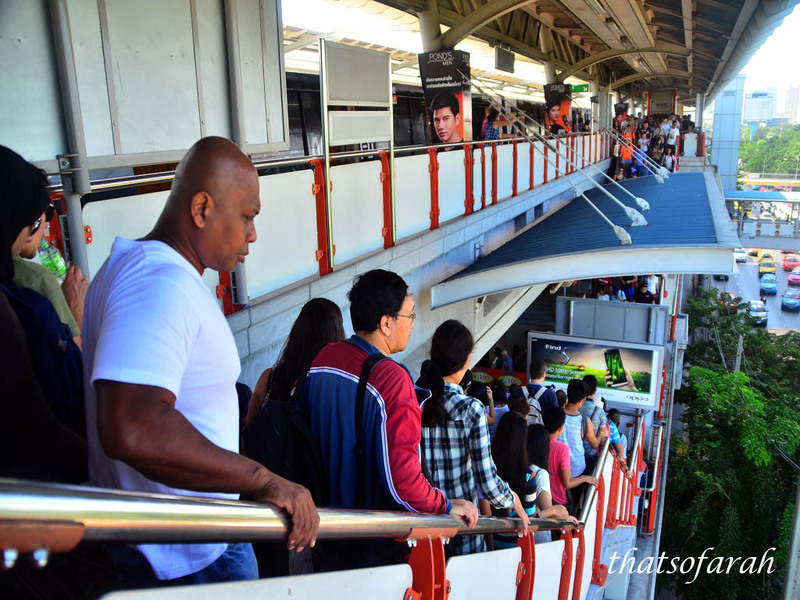 We disembarked at Mo Chit Station and we followed a huge crowd walking towards Chatuchak Weekend Market. At first, we were clueless as to where we wanted to go, but we did fine following the trail of people heading to the market. You would be surprised seeing people flocking in with big luggage bag which is used to store their purchased items. 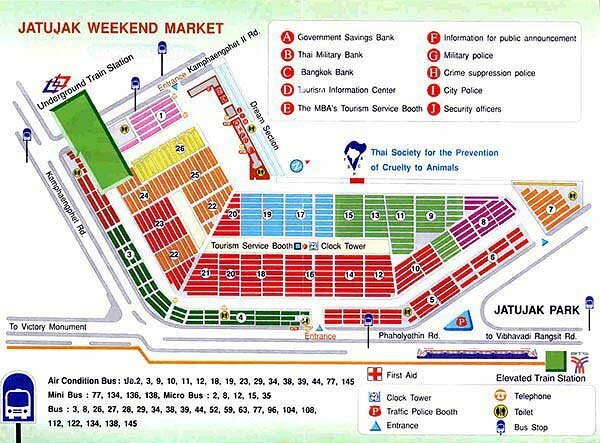 It is advisable to buy a map or print Chatuchak Weekend Market map online because you are bound to get lost. Drink plenty of water because the weather is hot and dry. Eat your breakfast for energy booster. 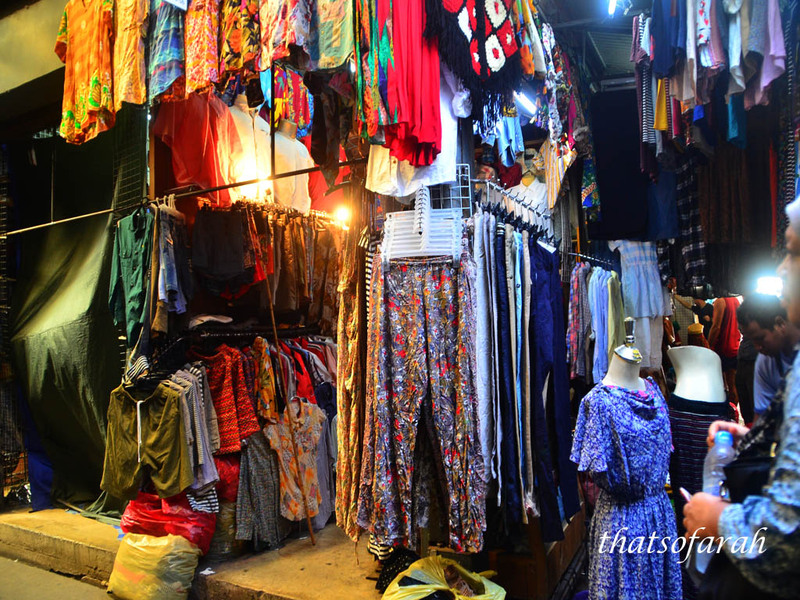 If you don’t like a crowded place, you should reconsider coming to Chatuchak Weekend Market but this place is a must-go atleast once in a lifetime. Bak kata orang Melayu, boleh shopping sampai lebam. We felt as if we were heating inside an oven that we quickly grabbed mango juice drinks from the available stall to ease the thirst. 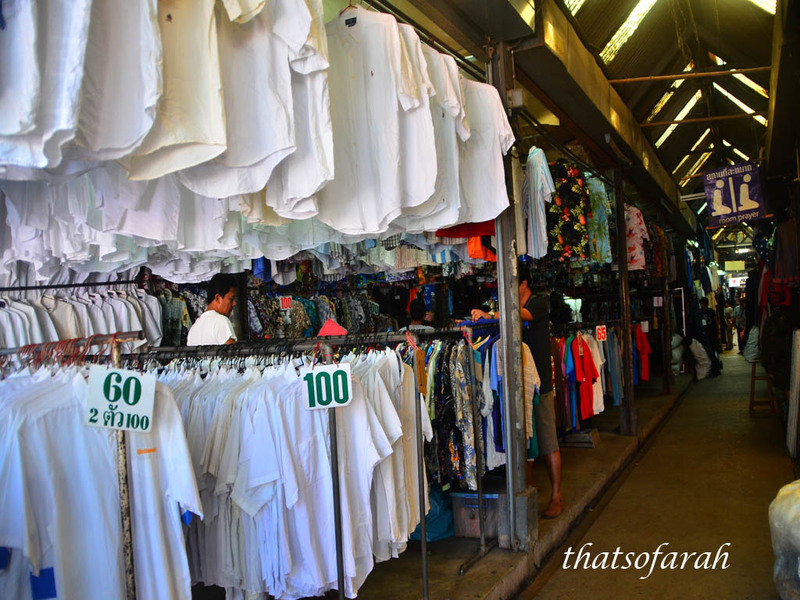 My mother spotted a shop with white blouses selling at THB100 each. She insisted on me to buy some blouses for work. And for obvious reasons, she chose those with a size or two bigger than what I usually wear. 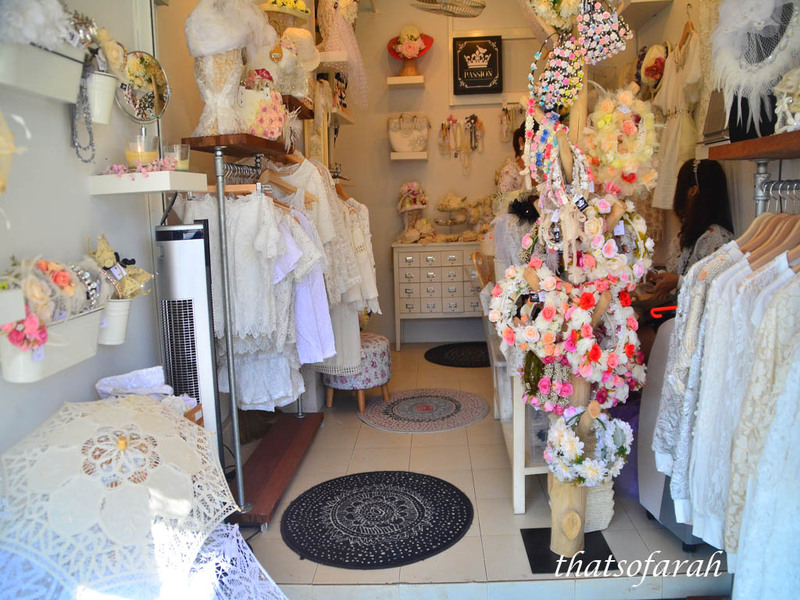 As we walked further, we found another shop with the very same concept. 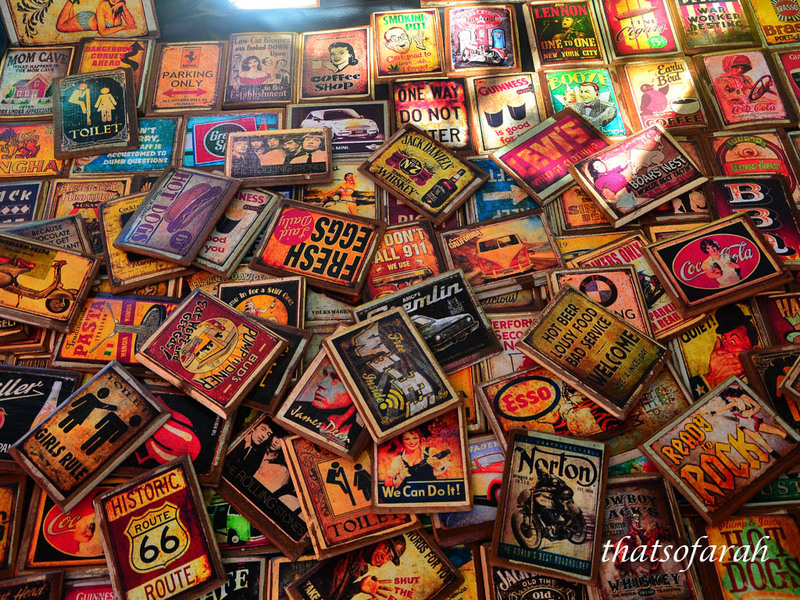 Everything inside the shop is being sold at THB100 each. Next to the shop, I spotted a lady wearing a scarf selling hot dogs and some weirdly decorated bananas. I walked closer and asked, halal? And she said yes! 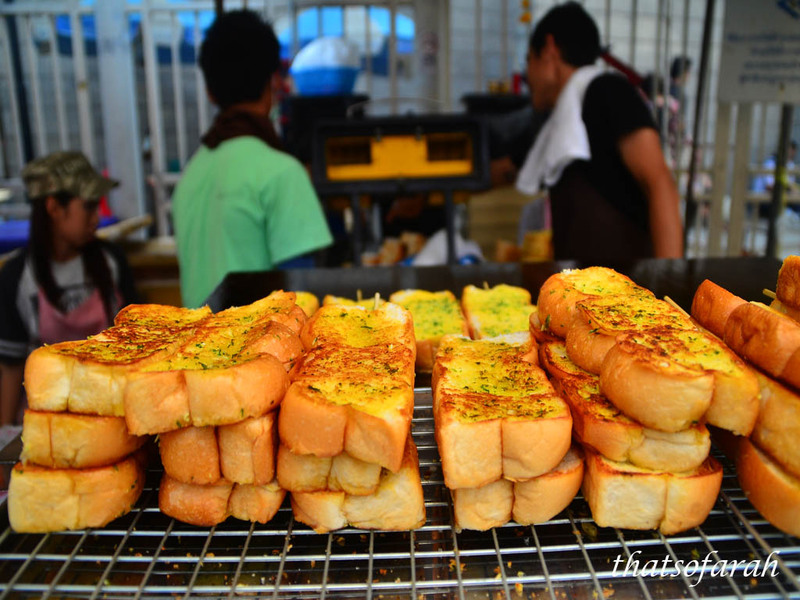 They also sell delicious garlic breads. Since the weather had hit me, I was no longer in the mood to shop. Plus, I was starving. 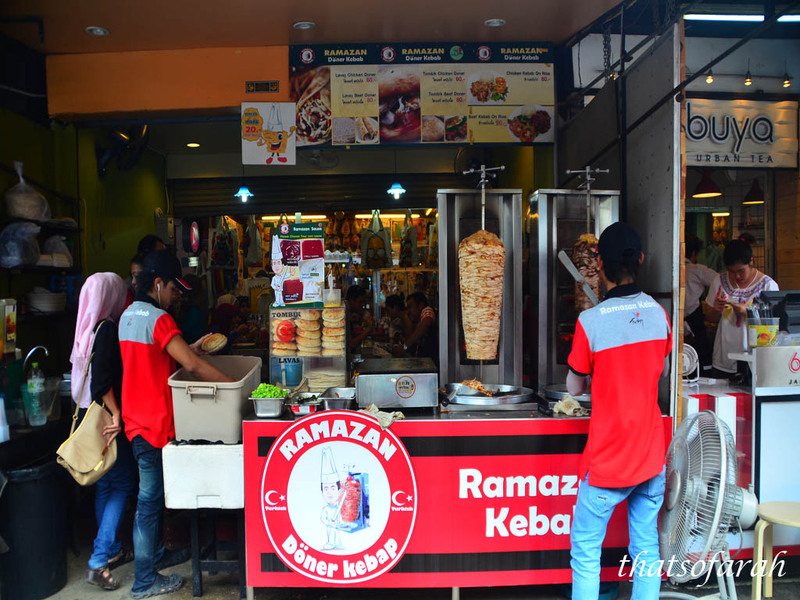 We went in search for the famous halal restaurant near the clock tower. We asked for directions, most of sellers did not understand a word I was telling them. It was after showing them a picture of the clock tower from printed material on halal food that they finally gave us directions to the clock tower. We passed by a kebab restaurant too! It’s halal. Finally, we found Saman Islam Restaurant. Full house; we had to wait to be seated. This restaurant is only frequented by Muslims, but people from different races too. The food is very delicious especially the tomyam. My mother ordered the chicken rice which was good too! We had a good chat with a group of Chinese girls from Puchong who were on their shopping free with huge trolley bags. 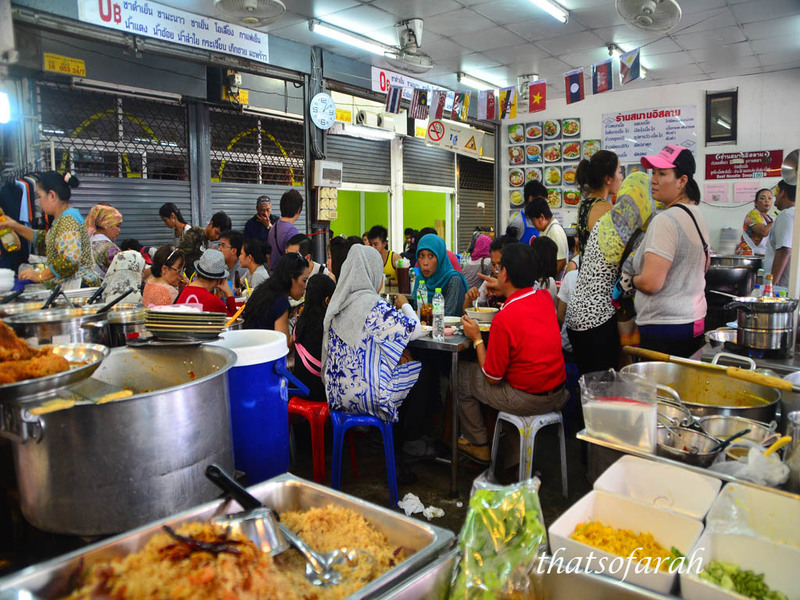 kedai halal tu tak jauh ke dari chatuctak market? walking distance? 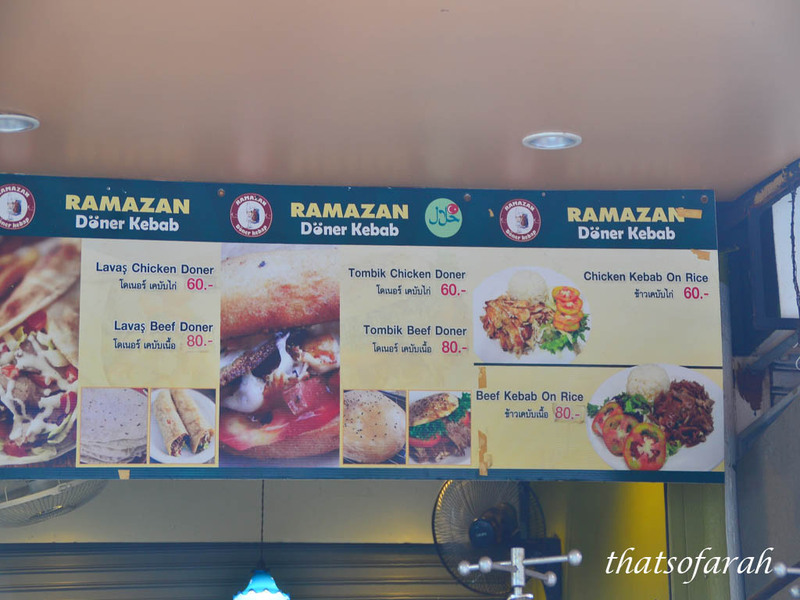 Kedai halal tu dalam kawasan chatuchak. Tapi chatuchak ni sendiri besar gedabak. Jalan satu hari belum habis cover. Tu pun kalau tahan panas la. Benda dia jual macam-macam. 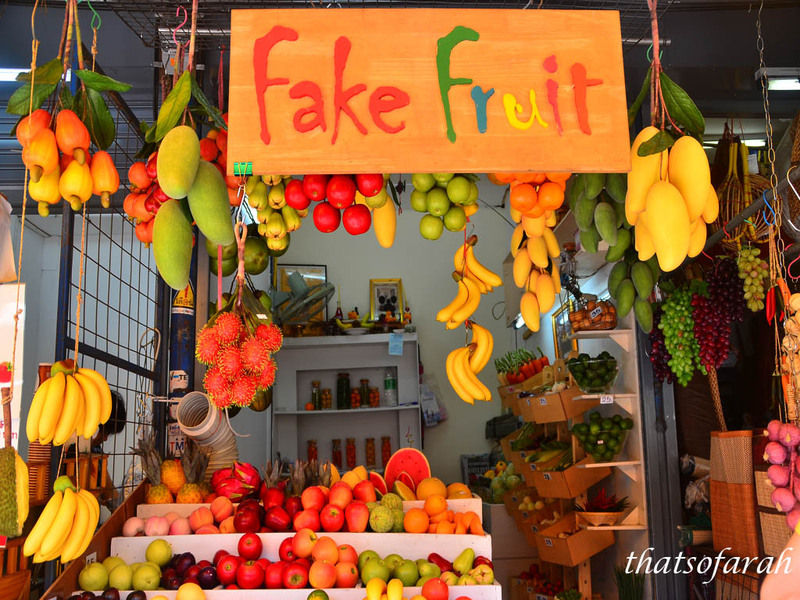 Kadang tu fake fruits tu sabun. Kadang deco rumah je. Tapi memang buah-buah dalam kedai tu plastik je tgk hari tu. 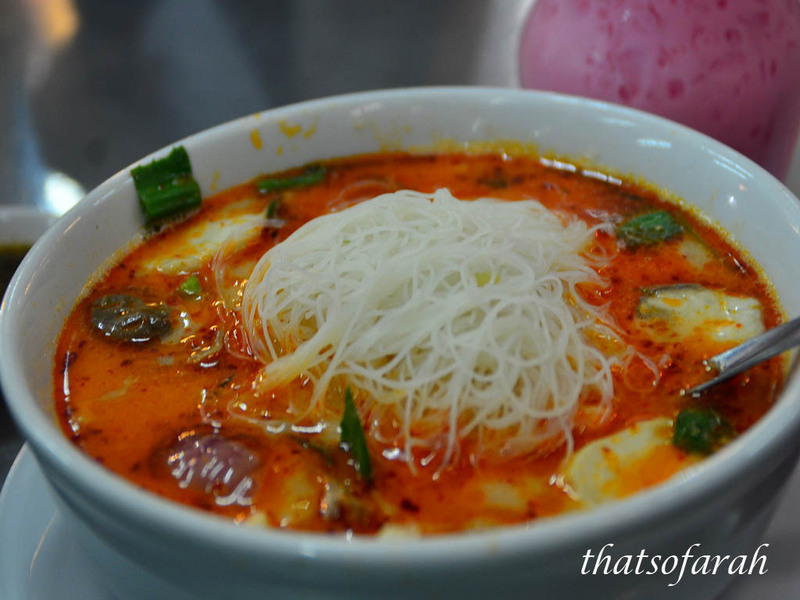 Tomyam dia memang sedap. Padthai pun sedap gila.